Fashion colors seem to be everywhere lately. Instagram has hashtags like #unicorntribe and #mermaid hair dedicated to showcasing the latest and greatest vibrant hues. Celebrities like Hilary Duff and Kylie Jenner are embracing them and just about anywhere you go, chances are you’ll see someone rocking it in your neighborhood. We love creating unique and striking looks with these colors at 5o1, but with great hair comes great responsibility. Read on to find out how to properly care for this special service, the necessary steps you will need to take before and after you take the plunge, plus the break-down of the investment it requires. Heat causes damage. The more you blow dry, flat iron and curl without heat protection, the more dry, weak and more breakage-prone your hair becomes. Not only is your hair more fragile, the color fades, FAST. When you’ve spent a pretty penny and the better part of a day on getting a custom color, it’s only right to purchase some insurance for your new look. Investing in a heat protectant is ESSENTIAL to making your color last and keeping your hair looking and feeling shiny and healthy until your next touch-up. Below, we pre-lightened virgin hair with Redken bleach. Next, we colored the pre-lightened area with Pravana’s Violet Vivid’s Color. We kept one of the original swatches for comparison. The second swatch is shown first after one shampoo and flat ironing without heat protection. Notice the color has faded to a more muted blue-violet than the original neon-like purple. The swatch was then shampooed one more time with another flat ironing session sans heat protection. Now, notice the more extreme fading and thinning of the hair. This is due to breakage from the harsh and repetitive heat of the blow dryer and flat iron. The color continues to fade. Eventually, the color will resemble a mud hue with a hint of purple. Investing in a good heat protectant is vital to maintain your intended look beyond the 24 hours after your day in the salon. Who wants to pay hundreds of dollars to look good for one day?! Another crucial purchase that should always accompany a new color is a color safe shampoo. Unfortunately, all color will fade some. There is no way around it, especially with fashion colors as they are technically only a stain. Think of them as more of a coating rather than a permanent color that penetrates your hair’s cortex. With that said, a good color-safe shampoo and conditioner will prolong the life of your color and keep it as true as day one as possible until your next appointment. Click here to watch a great video of an experiment conducted by another stylist that demonstrates the fading effects of color safe vs. non-color safe shampoo. One half was submerged in Pantene Pro V from a drug store while the other half was submerged in a professional color safe shampoo. Both suds washed away some of the color. However, the Pantene obviously faded the color much more intensely than the professional shampoo which has ingredients to keep more of the color on the hair shaft while cleansing the hair at the same time. Fashion colors will fade must faster and more noticeably than regular permanent and demi permanent color and toners, though color safe shampoos and conditioners are still essential in keeping those looking fresh between appointments as well. Because fashion colors are considered to be a ‘stain’ as opposed to a permanent color, the hair must be lightened prior to application so that it shows up. Think of it like drawing with a purple pen on black pants. You won’t see it. If you bleach the pants first and then draw, it’ll show. Same applies to your hair. Because your hair must be lightened to a “blank canvas” first, and then color applied after, there is a charge for that service first. Lightening can vary in price depending upon many factors. If your hair is too fragile, a bond protector may need to be added to the formula to prevent breakage at an extra cost. If you have very thick or long hair, more lightener may need to be mixed to cover all of your hair. Each remix is an extra cost. If your hair has color already on it or is naturally very dark, it may take more than one lightening session to get it to be light enough. Each session is its own cost. Once the hair is as close to white as possible from lightening, the color can be applied. This again can vary in price depending on how much color must be used, the time it takes to apply and whether or not a conditioning treatment will be needed. If you’ve taken into account everything that may affect your ability to obtain and maintain a bright, vibrant and creative fashion color then book your appointment with us today! We have all the knowledge, skills and tools to help you in your journey to super fun hair. It's 2017 and here at 5o1 and we are so excited for the new year! We plan to fill it with fresh faces, opportunities, continuing our education to always offer you the latest techniques and tips to stay on trend. Continuing our commitment to giving our clients an unparalleled experience; we are looking ahead to bold ideas, growth, improvement, and excitement every time our guests walk through our doors. We’d love to be a part of your journey! As stylists, our goal is to make our clients feel important, beautiful, understood and ready to take on the world. Whatever your dream for 2017, we want you feeling confident to achieve it. Part of feeling confident is looking and feeling your very best. For some, getting dressed to the nines from head to toe and heading out to an extravagant party does the trick. For others, it means a casual night with close friends or family. And for some, it translates to time completely alone, curled up with a good book. The common thread of these scenarios is the feeling of being totally and completely yourself. Our team at 5o1 is committed to sharing that feeling with every guest that books an appointment, every time. It’s why we do what we do! Helping to achieve your desire to express your true self; , we offer expertise in total-look enhancement or change. We can help you with a new eyebrow shaping that can enhance your fantastic facial features or get rid of stray hairs that can distract from your perfect smile with our waxing services. Makeup applications and lessons can help your blue eyes pop or sparkle just a little bit more. Makeup also has the ability to create a dramatic and artistic declaration of who you are without saying a word and we have the color palettes and skills to teach you how to do just that. Hair can be the biggest form of self-expression out there. Between color changes, texture services, cuts and styles, there is an endless amount of possibilities for you to show off your funky, classic, wild, subdued or trendy self. The Style Imperative https://www.psychologytoday.com/articles/200809/the-style-imperative in Psychology Today, describes style as “our distinctive pattern of speech, our individual poetry.” The article talks mostly about style and its impact pertaining to wardrobe choice, which should be taken into consideration with hair, makeup and grooming for a cohesive total look. We take into consideration your hair’s texture: In the photo, this hair is curly. Say my client has curly hair but it is not the same curl type. Will my client learn to style it in the same manner as the photo to be happy with the outcome on a daily basis? The cut in the photo is also a classic bob on a very full head of hair. My client has extremely fine hair and insists on this cut. We then must analyze whether the look can be achieved with the right volumizing products ALONG with this type of cut suitable for her own hair density, AND are they committed to using the products so the cut looks similar to the photo. We evaluate your hair’s integrity: This photo they are showing is of a pink hair color . Licensed stylists know the guest in the photo has heavily removed all hair of natural pigment and then colored-over their strands multiple times. To properly achieve a fashion color MANY sessions, MANY post treatments, MANY hours, and MANY dollars come along with this process. We must evaluate will our guest trust us when we say time, possibly a cut and multiple conditioning treatments are a necessity before they can achieve their desired look without their hair breaking and falling out? We also study face shape and profiles: The model in the photo has an oval face shape and a blunt cut. Will the guest take your suggestion of rounding the edges of the cut to soften the sharp, square jawline they have? Or Zooey Deschanel’s bold bangs, while they are swoon-worthy, we evaluate if our guest will like them on their own face that has very different features. Finally, stylists are trained in the overall-look. We are required to be able to coordinate style from head to toe. When our guests bring in a photo of the new grey hair trend, we take note not only of everything mentioned above, but of the model’s makeup application, their metropolitan wardrobe and the soft-wave, wand-styled hair. We would worry that our guest, who prefers to wear hoodies, no makeup and not brush their hair will feel displeased rather than on-trend with this choice. Our goal is always to educate our guests on the maintenance required for their desired style and all the ways that they will get the most out of the outcome. The color or cut is not the end-all, be-all of a hairstyle. Usually what attracts one to a hair style or color are the all encompassing elements of the photo; and we, as licensed stylists, are able to recognize these elements from experience. This year, we resolve to educate our guests while putting their best foot forward or trying out a completely different style- COMPLETELY. Don’t be shy, ask us to help you get the motion down of using a curling iron or flat iron to achieve the style you intended when you cut off all your length for that perfect lob! Feel free to have us show you exactly how much, what, and where we use product to achieve your look and why! Winter can really take a toll on your hair’s health and ultimately its look and manageability. The harsh wind, cold and dry air, cranked up thermostats and rain that come with this time of year can really mess with your plans for looking fresh and festive for your office Christmas parties and new year’s bashes. With some easy adjustments to your routine, you don’t have to fall victim to dull, frizzy and lifeless locks this season. 501 has some tips on product changes and styling tweaks that will lead you flawlessly from Winter 2016 to Spring 2017. Next pro tip is to avoid heat as much as possible. We’re talking blow driers on their highest heat setting, curling and flat irons cranked to their max, heaters in your home or car turned up too high, sitting in front of the fireplace and hot water. We know it’s tempting to blast that stuff the moment you get in from the cold but going from one temperature extreme to another is shocking to your drier and more fragile hair this time of year and will ultimately leave it dehydrated and rough. If you MUST use heat tools, then a professional stylist will tell you that you MUST use heat protection. We love that all R&Co and Oribe products contain some form of heat protection in their formulas so whatever you choose as a styling aid from those lines we offer, your hair will receive that added benefit. It is never a bad idea though to add a specific heat styling spray like Redken’s Iron Shape 11 directly before using a hot tool to ensure maximum protection from damage and dehydration. Stay hydrated. Warm drinks are so comforting in the winter- coffee, hot chocolate, tea, apple cider, mulled wine. But they shouldn’t be considered a replacement for water intake throughout your day. Your body is about seventy percent water, which means your hair, skin and nails rely heavily on H2O to stay healthy and grow. Our clients can always enjoy a delicious hot beverage crafted to their individual liking while they enjoy a service. We also offer bottled water which can help encourage rehydration for overall wellness in the driest months of the year. Be Gentle. Your hair is more delicate with all of the aforementioned conditions it’s under. Tangle Teezer brushes are a life saver for strands at extra risk for breakage. We love them at the salon and can show you the miracle they are at your next visit and hook you up with one for yourself or as a winning stocking stuffer for someone you love. Avoid too-tight styles. Rubber bands and tight ponytails can enhance the likelihood of breakage. Opt for looser or all-down styles and experiment with headbands and bobby pins. Christmas is the perfect time to try out some decorative hair pieces. Cover up. Keep your hair shielded from the wind and rain with a cute hat or scarf. To avoid dreaded hat-hair, keep a bottle of Oribe’s Gold Lust Nourishing Oil in your bag to help tame fly-aways and add extra conditioning. Less is more. Washing your hair less will help to prevent your hair from drying out. We’ve got options at 5o1 for style extenders to tide you over between washes like R&Co’s Death Valley Dry Shampoo. We can also show you some quick styles that look and hold better with day (or two or three)-after shampoo hair. Bonus- less washing means more time snuggling in your warm bed in the morning. Who couldn’t use an extra 20 mins under the covers December-February? It takes a pinch to grow an inch. For some, it is painful like a pinch (emotionally) to have to cut any hair at all when you’re trying to grow it out. But in the winter it is essential to get regular trims to maintain your length (half an in a month) or grow out your hair (half an inch every other month). Trimming breakage or split ends will stop the damage from going any further up the hair shaft resulting in shorter hair. It may seem counterintuitive to cut it, but you’re creating healthier hair which will translate to length in the long run. Let’s talk about gloss. Adding a gloss to your regular hair color appointment can help your hair look and feel more vibrant in a few ways. If you normally just get a root touch-up, incorporating a gloss can help add a punch of fresh color or tone to your ends for a more all-over fresh appearance plus add some shine that will last beyond your blowout. It also helps to fill in any porosity you may have from previous coloring or lightening sessions to help keep the elements from outside such as pollution in the air or rain from entering the hair shaft and causing more damage, dullness or brassiness. Think of a gloss as a beautiful seal and shield for the custom color you’ve invested in. We’d love to know if you already add these steps to your winter beauty routine or if you’re looking to start! Let us know what you learned or if you have any tips yourself on changing up your regimen for winter below. How to look polished with little time this busy season. Well, we’ve got some great tips for quick styles to throw together when you’ve got exactly 6.1257 minutes to spare and don't want to look like the walking dead before dropping the kids off at school. Who wouldn't want to be able to induce a little hair envy AND run all your errands before its time to pick the kids back up again and head to the next function? This year, texture is IN. 2. Texture usually allows for extended wear. Who wouldn’t save a few precious minutes by NOT having to wash your hair every day?! When your hair is curled, it’s harder for oil to travel down the hair shaft making your head appear greasy and flat. (Think of it like traveling down a swirl slide on the playground, sometimes you get stuck. A straight and vertical slide will send you straight to the bottom in no time. Oil from your scalp works the same way on curly and straight hair). See the last tutorial for how to properly apply dry shampoo and get the best results to extend your wear. 3. Lived-in looks are generally more versatile than smooth and perfected styles. No need to worry if it falls out a bit (it’ll just look softer) or deflates a bit in the rush of the day (just shake it back up a bit with your hands and travel-size dry texture spray). Add a braid or a twist into some beachy waves (it is much easier to hide a pin in roughed-up hair than stick straight and shiny locks). Even putting textured hair into a pony tail can be easily manipulated to create more of an on-purpose and chic style. Below you’ll find some simple steps for looks that will hopefully score you enough time to grab a Starbucks PSL or whatever your vice is to keep you sane when you’re on your way from one thing to the next this year. Start with hair blown out with a paddle brush. No need for it to be perfectly smooth and straight, just manageable enough to section later with a curling iron. R&Co- Rockaway Salt Spray, Outer Space Flexible Hairspray, and Death Valley Dry Shampoo. Oribe- Dry Texture Spray. A curling iron (a regular old spring- clamp or a wand. The wand shown has different shaped and sized detachable barrels for different looks and can be purchased on Amazon) , paddle brush, elastics and a few of bobby pins. ***FIRST AND FOREMOST: if you're not familiar with using a wand, practice the hand motions with the iron before you even plug it in. The more practice, the quicker you'll be able to finish the first step (and without any burns!) Also, while we recommend a wand, you can use a regular curling iron as demonstrated below. Any kinks that might form from the clamp, will not show once the curls are broken up. Always hold the curling iron with the handle up, and the iron side down. Wrap the hair down the barrel with the first wrap being in the middle of the hair shaft, no need to go to the scalp. Wrap as many times around as the size of your barrel and length of your hair allow (the more texture you want, the smaller the barrel you want to use. For a softer look, try a larger barrel) and leave about 2 inches out. (The ends do not need to be curled. You're looking to create a 'bend' in the middle of the hair. Leaving the ends out will create a pieced-looking texture that gives the look its effortless appeal.) Let "heat" then drop hair from barrel. Having the barrel pointed down allows for your hair to fall easily without awkward motions that could lead to burns or having to 'unwrap' the hair. Once you have the motions down, section your hair. I put about 3/4 of my hair up in a clip and started curling the bottom in sections no wider than the size of the barrel of my curling iron. Spray Section that is down with R+Co's Outer Space for a soft and flexible hold with added heat protection. Always curl the hair alongside your face backward, away from your face. After the first curl, alternate curls going forward and backward. Notice the first curl is going back (the hair curling over the front of the iron to the back. The second photo demonstrates wrapping the hair from behind the barrel to curl forward, toward the face. Repeat all around the head and dropping same-sized sections, spraying Outer Space and curling until your hair is entirely curled. If it looks like a messy, undone Shirley Temple, you've got it right. Remember, this look is not meant to be perfect so do not focus on getting a perfect curl. Next, break up the curls with your fingers. Go section by section and break up EVERY curl. It will feel counter-intuitive but the end result we're going for again is TEXTURE not CURL so go ahead and ignore your instinct to leave a spiral alone. Add a few light sprays to the crown (top back area) to add some volume. Then begin to piece and pull apart the ends to create volume at the bottom. Ta Da! Big, lived-in hair. Just scrunch and shake throughout the day to reactivate the Dry Texture Spray. Adding texture alone will be enough to turn some heads and garner compliments if your normal go-to is straight and down or a regular ponytail. But below are some easier-than-they-look styles that are best worn with the waves you've created. Take a section of hair around your face and twist it away toward the back. One to two twists will do as you do not want a tight look. After you've twisted, hold the end gently and gently pull hair up to create a bigger and softer look. Pin the end of the twist underneath the crown to hide the pin. Having the Dry Texture Spray makes it easier for the pin to be put in place and stay that way all day. Similar to a pin cushion. A pretty easy and just plain pretty way to get that hair out of your face! Start with a triangular section from about the arch of each brow back to the start of your crown. Take an elastic and make a ponytail with the section you created. Pull some of the hair from below the elastic forward to create volume and a softer look. Twist the end of the pony around itself to create a bun. Pull bun slightly apart to widen and create a slightly disheveled effect. Pin in place with a couple bobby pins and you're good to go! Begin by taking the top half of your hair (from about the top of each ear and back) and pulling it back into a half-pony. Secure with an elastic. Create an opening just above the elastic and flip the end of the ponytail through the opening to create an inverted pony tail. Gently pull apart the twisted sides in small pulls to give them a less "perfected" look. Repeat the same steps with hair from just about at the ear lobe and back leaving one last section at the nape. Finally, repeat the steps again with the last section. A great and simple alternative to a basic pony and helps keep fly-aways back. The last thing you need to know to have DAYS worth of effortless textured hair is how to use dry shampoo. All you’ll need is a bit of dry shampoo on the roots before you head to bed and voila! You’ll wake up to another day with great hair and little effort (BONUS sleeping with dry shampoo in helps to give you volume as the product has sufficient time to soak up all the oil around your head and the movement of your hair against the pillow helps to create more texture). If you forget before bed or are refreshing after a light workout, just remember that the product needs TIME to soak up the oil, it does not happen instantly. So put it in as shown below and brush your teeth, get dressed, have your coffee and THEN lightly brush or shake through to get rid of the residue. Start by spraying R&Co's Death Valley Dry Shampoo in small short bursts along your hair line, concentrating wherever you get most oily as it will vary individually for everyone. Apply the same way down your part. And around your crown area. Concentrate wherever your have cowlicks as well to keep them from splitting open and falling flat as days go by. You can refresh your ends in the morning with R&Co's Rockaway Salt spray to add more texture and pump up the volume as it may deflate a bit after a good night's sleep. Please leave any comments, questions, or any thoughts below. We'd love to hear your feedback! Oribe @ 501....Why you need to know about it! We are so excited to offer our 501 guests the most elite line in hair care, Oribe. Their tag line is no understatement: “These are the products of the hair-obsessed.” Oribe covers it all with the most effective heat protection, humidity resistant, frizz-smoothing, volume-encouraging, moisture-locking, curl-controlling, short hair molding, texture-enhancing, all-day wearing, hair envy-producing shampoos, conditioners, masks and styling products on the market today. ….WHEW! We know that’s a lot to take in. That’s one of the things that makes this line so remarkable! They really haven’t left anything to be desired. They thought of it all and have thought it all through. The result of a collaborative effort by the legendary celebrity and editorial stylist Oribe Canales and beauty industry pioneers Daniel Kaner and Tev Finger. They share a vision for creating a commodity of hair essentials that invoke an aesthetic tranquility just by having the packaging adorn your shop display or at home on your bathroom vanity. When you think of the word luxury, indulgence or once-in-a-while may come to mind. That mindset is changed with Oribe. Once you’ve tried their products, luxury is necessity, and only. The diversity and quality of their formulas are unmatched in the industry based on performance alone. However, there is even more to love about Oribe that fits with our vision at 5o1 and we believe will resonate with our discerning clientele as well. We want you to experience Oribe for yourself so here’s how… We’re holding a Selfie Swag Contest! Throughout your service, we will use these products to create your look. Either during or after your visit, take a selfie and post it to your Facebook or Instagram. Tag the salon and your stylist. In the caption state the product(s) used and add hashtags : #5o1salonexperience #selfie #selfieswag #oribe. The photo with the most “Likes” will receive a FREE Oribe product! In 2016 we get hair inspiration everywhere: Pinterest, TV, Celebrities, Magazines, Instagram, Facebook, YouTube, Blogs, ads, and just from random people walking down the street. Trust us, as stylists we love seeing all the hair inspiration and new trends as much as you. In fact, we can’t wait to literally get our hands on it. The issue that is ever increasing in the salon is the lack of education for the general public about the realities of how the look was achieved. This is a result of the massive exposure and immediate access to beauty visuals. When clients see a hair style they love, they WANT it and they want it now, all at a low cost. When stylists see a style they love, they want and need to know how the hair started. This includes the process, products used and the time applied. It’s like going to the doctor for pain- you want a quick fix, but you should know why it started in the first place, the treatment plan, prevention practices, and how your genes and lifestyle affect its likelihood to return. It’s the Doctor’s responsibility to educate you on your specific situation, but it’s also your responsibility to care about the information given, if you want results to last. It’s cool, we’ve all felt that way about something at some point in our lives, like “come on, just get to the point!” or “just fix it!” But haven’t we all also felt at some point that we’d like to be understood? Everyone’s ability to do their jobs can be compromised by certain events at times. Maybe it’s that you work with data entry but your power went out. Maybe you’re a delivery driver but a blizzard came through and now packages will be late. You may catch flak from people about how you “couldn’t deliver” though it had nothing to do with your personal capabilities, training, talent, or skill. You wish everyone could understand the unique circumstance and that as a professional in your field, you will do what needs to be done in light of the situation. With hair, certain factors come into play in our ability to create that Pinterest look that may have nothing to do with our personal skills as stylists. We’d like to highlight (no pun intended!) some common situations that happen in the hair world at salons everywhere every day. We hope with this knowledge, you’ll feel more informed and prepared for booking your next appointment and that expectations for outcomes between the stylist and client will be in sync. If your hair has been over-processed, it may be impossible to get the look you’re going for in one appointment. The stylist’s first inclination is to treat your hair. It may need moisture, strength treatments, or both before color can be applied. Keep in mind, each service costs money. When a stylist gives a quote, it will include pricing for needed treatments and added services that are essential to working toward your color goal. We want to give you what you want, but we don’t want your hair to fall off in the process. This is where trust comes in. We want our clients to trust that we are professionals in our craft and every step we take and charge for in the process is necessary for your intended result. If you have been applying black box color for years over and over each application and bring in a picture of Gisele Bundchen’s beachy blonde balayage, please know that when we say that it won’t look like that today, it is not for our lack of skill. Lightener can only travel so far through color, and the darker it is, the less it will lighten in one application. The cost will be more as the time needed will also, most likely, have to be extended beyond a typical 2-hour appointment slot. The cost also goes up as with each lighting service, treatments become imperative to keep your hair healthy and strong between appointments. 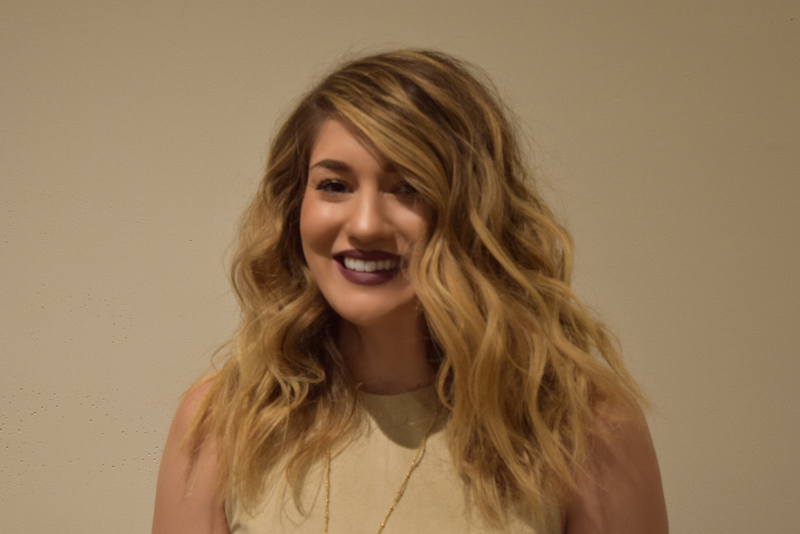 See our blogs Lightening Your Hair for Summer and Benefits of Olaplex in Hair Lightening to learn more about going lighter. Going darker can also be a multi-step, time consuming effort. Coloring your hair blonde for years leaves your hair dry and very porous. Again, treatments may be needed to ensure the health of your hair as layers of color may be needed to achieve the desired look. Going brunette from blonde is not as simple as putting brown color over the blonde. A good colorist knows that the right undertones need to be added first to avoid a muddy or green appearance to your darker locks. How your hair starts matters. It makes a difference in the steps needed to achieve the desired end result. Someone with red hair and someone with blonde that bring in the same photo of Jennifer Aniston will have a different list of services needed as well as a different bill. Hair types can make it challenging to get the look you want. People born with stick-straight hair that want curls can definitely get perms, use certain products and tools to achieve the desired result, but it is never a permanent or perfect solution. Same goes for the opposite. It is also a factor in hair color. Those born with darker shades will have a harder and ultimately more expensive time getting to be platinum blonde than someone born with lighter hair. Appointments are scheduled according to time increment designated to each service requested. If you have never been in before and are unsure of what you are needing done, it is strongly recommended that you book a consultation first. We get that it’s not always convenient to have to come in twice and that when you decide what you want, you want it now. But it is actually more beneficial for your planning purposes and budget to have a consultation. The stylist is able to observe the integrity of your hair, color starting point and go over your budget with you to ensure you are on the same page about how your appointment will go. This evaluation step allows for you to know how many sessions you will need, the average cost, the length of time needing to be booked for the initial appointment, and at-home maintenance to be expected. These steps may save you the confusion of why you are paying a certain price, and potentially not able to get your result in one sitting. A big problem we are facing today in the age of Pinterest is that seeing isn’t always believing. We get photos constantly of celebrities hair color and, as stylists, instantly know that their ends are not as blonde, thick and healthy looking as they appear because they are wearing extensions! Celebrity stylists use extensions all the time to add pops of color instead of damaging their clients natural locks. This allows them to change their look more frequently. We often have our own clients that want to go back and forth between dark and light but don’t want to do treatments or cut their hair to keep it healthy. They reference that they see a celebrity do it all the time. 9 times out of 10, it is because of they are wearing extensions. Some hair colors such as fashion colors fade after the first shampoo, and stylists are blamed for the lack of lasting vibrancy. Again, when referenced from a photo, it is, more times than not, artificial hair that is made of a colored material that will not fade, OR it was Photoshopped. We know it’s not what anyone wants to hear, but it is usually the truth. Extensions aren’t always for added length or color. Sometimes they are used to shape a haircut and add fullness. Some cuts are unattainable with hair that is too thin. If a lot of layers are desired, cutting too much for the shape will not leave enough hair at the ends. Our stylists are happy to educate you on what is possible and what is not when it comes to cuts or color on your natural hair. If extensions are needed to achieve your look, we can help and educate you on that too! Just know, extensions are an added charge and added maintenance that even celebrities probably wouldn’t keep up if they didn’t have the funds and their glam squad on call 24/7. We understand that most people have a budget when it comes to their hair. We want to honor that! But with so many variables that may arise based on the above situations it is hard to give an exact price when you come into the salon. Much like a contractor hired to remodel your kitchen usually can’t give an exact total as unexpected obstacles happen. For example, when it’s discovered that a pipe is leaking and must be fixed before you put a wall back up, the professional you hired couldn’t have known about the leak until the process was started; resulting in an extra step and expense to the process. Sometime we as stylists will begin lightening hair only to find that your hair will not budge past a red. It is impossible to know without a doubt exactly how your hair will react to certain services without trying them before. An added charge may be acquired to your bill as an unforeseen extra step, such as a toner being needed to cancel out the red that appeared. A good stylist will educate you on the possibilities and try to work with your budget for the appointment time booked. It may mean that only one step toward your goal happens today and that you will need to come back in a sequence to take smaller steps at smaller costs to reach your goal. That way it fits your budget, your hair stays healthier and each appointment should go as planned as your stylist will get to know your hair better and how it reacts at each visit. We hope this helps with curiosity as to how individual and outside factors affect appointments in the salon meant to help you reach your hair goals. Let us know in the comments below if you have any input or questions regarding what is and isn’t realistic at your next appointment and how we can help you on your way to beautiful and healthy hair.